The weekend will see hot temperatures linger in Western Australia but the south east will be far cooler. Picture: BSCH. SUPERCELL storms could wreak havoc on south east Australia today and into tomorrow as a week of intense weather, with floods in the north and heat in the west, comes to a close. In Queensland, the monsoonal rains are dying down but all that moisture is likely to mean much of the area will be flooded for "weeks to come" forecasters have said as the dumped water makes its way through the drainage basins. Meanwhile, Tasmanians could experience some summertime snow this weekend as a cold front sweeps through. But for the rest of Friday all eyes are on unsettled conditions in New South Wales and northern Victoria. The Bureau of Meteorology has said there is a possibility of large storms throughout the area. A severe thunderstorm warning is currently in place for a large chunk of NSW from the Murray all the way to Sydney and beyond. At 6pm storms were thundering over southern Sydney, the Illawarra and parts of the Central Coast. Some of these could be supercells storms which combine three dangerous elements: damaging winds with heavy rain and hail. "On Friday, the focus for thunderstorms is in southern and central NSW. 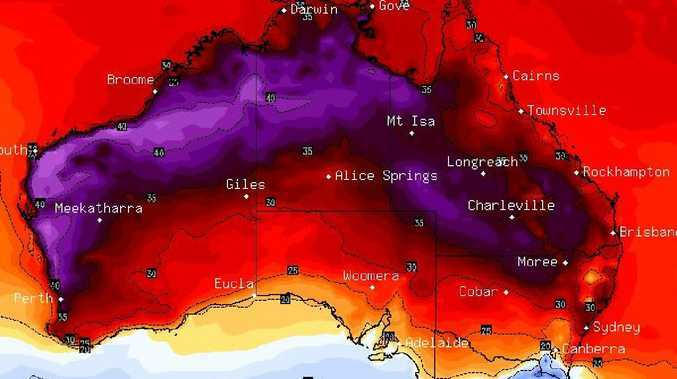 The parts of NSW most likely for the (supercell) triple threat will be the Central Ranges and right across the south east and Canberra," said Sky News Weather channel meteorologist Rob Sharpe. Some of those could push up towards Sydney with possible episodes of wild weather into Saturday. In the Harbour City the mercury will hit 30C for the next couple of days before dipping to 26C on Sunday. A stormy Canberra will also hit 30C today before heading into a sunny weekend in the mid-20s. "A cool change will sweep up the south east on Saturday bringing showers and dropping temperatures remarkably. 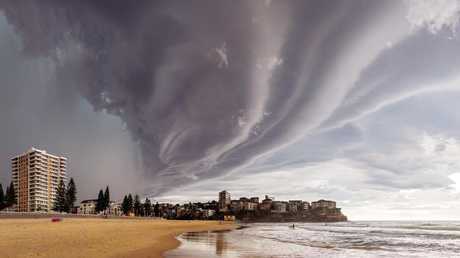 A southerly buster will likely to push through Sydney in the evening," said Mr Sharpe. As the weekend progresses those storms could head up towards northern parts of the state. In Melbourne it will be a mild weekend. There will be some rain with a maximum of 25C on Saturday and just 21C on Sunday. Head down to Tasmania and its positively wintry, said Mr Sharpe. "In Tasmania, cold weather is starting to envelop the state with snow likely in elevated areas". It'll be just 17C in Hobart on Saturday rising to 23C on Sunday. 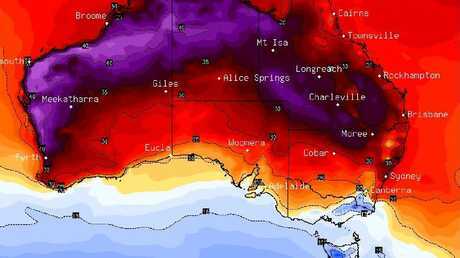 Adelaide is currently having a break, a far cry from its many scorching January days, and that will continue through the weekend with the mercury in the mid-20s on partly cloudy days. "In the west, the heat is lingering with gusty easterly winds and on Saturday it will be even hotter. A tropical change will sweep through on Monday dropping the temperatures." For Perth that means 35C on Friday, rising to 38C on Saturday and not much different on Sunday. But Monday could be a more reasonable 29C. Stormy in Darwin and 33C with a possible downpour. Over in northern Queensland, the monsoon will finally exit stage right, said Mr Sharpe. "The system that has been driving all the rain will moving out into the Coral Sea on Friday and on Saturday morning it will be far way enough to just be the odd shower across the coast." Nevertheless, some areas of the Queensland coast still pick up 50mm or so of rain in the remaining drenching. "There will be water covering the landscape for weeks to come," he said. A few showers could fall on Brisbane this week. 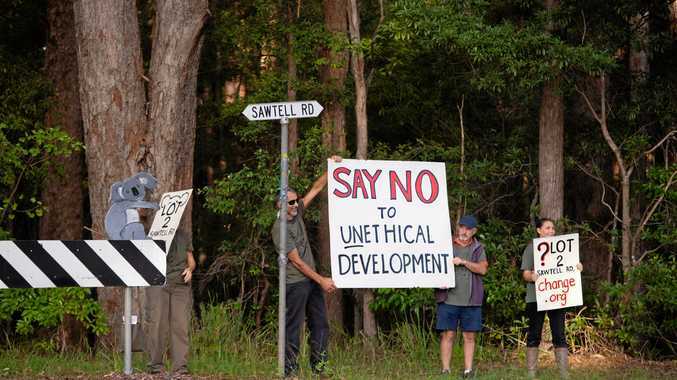 Nothing like what's been happening further north in the state though. The city is likely to see temperatures around 32C for the next few days.